Фотобанк РОСФОТО - микросток. Лицензионные Фото, Видео, Музыка - Background with flowers and butterflies. 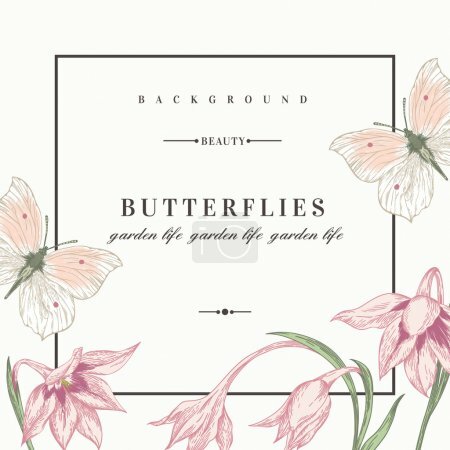 Background with flowers and butterflies. Summer background with flowers and butterflies. Vector illustration. Acidanthera flowers.